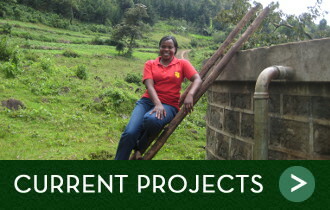 Any amount that you can give will be used to pay for projects in Kipkelion. No donation is too small – or too big. Remember that Friends of Kipkelion is a UK Registered Charity – so we are eligible for Gift Aid. That means that whenever a UK taxpayer makes a donation, we can claim back an additional amount in tax. This will happen automatically if you use Virgin Money Giving to donate. If you would just like to donate without doing any running, cycling or other energetic pursuits, you can use the link to our main Virgin Money Giving page. If you are taking part in a fundraising event, you can set up your own page on Virgin Money Giving and link it to our fundraising page on that site. If you can raise around £200, we can supply a smokeless stove to a school in Kipkelion. This will save the school money, save fuel (and hence the environment) and reduce smoke – much cleaner and healthier. If you can raise £2000 or more, we can install a school water tank, so that the school will have a back-up supply of clean water all the year round.